Tomas Tomilinas is a member of the Lithuanian Parliament, vice-chairman of the Lithuanian Peasants and Greens Union party. From 2014 to 2016 he worked as a senior assistant to the MEP Bronis Ropė (Greens/EFA). Elected to Parliament in 2016, he is a deputy in the Parliament Committee of social affairs. 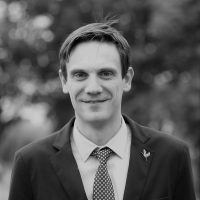 Educated as political scientist, Tomas was a social activist based in Vilnius and worked on the party platform, as well as in different social and green think tanks. His fields of interest concern food sovereignty, local democracy, and social justice. Sporo uwagi wzbudziło zeszłoroczne zwycięstwo Litewskiego Związku Chłopów i Zielonych. Zielony Magazyn Europejski rozmawia z posłem tego ugrupowania, Tomasem Tomilinasem, na temat jego partii, jej spojrzenia na Europę oraz źródłach sukcesu w niełatwych warunkach konserwatywnego elektoratu, różnorodności etnicznej oraz pozycji geopolitycznej.